From dust, dirt and dander to debris and allergens, any number of potentially harmful particles can get trapped inside your duct system. A dirty duct system will continue to re-circulate this contaminated air and, in some cases, it can escape the system and be distributed inside your home. In other cases, it can stay in your ducts and continue to attract even more dust, increasing the amount of contamination day after day. Our professional air duct cleaning system features powerful vacuum equipment to reach deep into your air duct system, remove the contaminants and help get a dirty duct system working efficiently again. 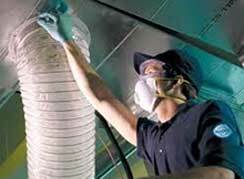 Don't let improperly maintained air ducts cause health issues in your household. 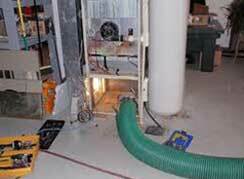 All Phase Duct Cleaning Serves Nassau County and Suffolk County and specializes in dryer vent and air duct cleaning. Air ducts become dirty one way or another. Our professionals clean them so your family enjoys healthier, cleaner air. We recommend having us clean your ducts every 2 to 3 years to prevent mold and other allergens from damaging your air and your drywall. 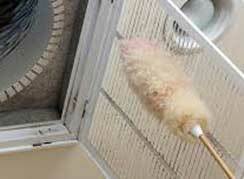 Dryer vents are of particular concern, which is why we encourage you to have us clean your vents annually. In addition to hurting your home's air quality, clogged and dirty dryer vents pose a safety hazard to your family. More than 15,000 house fires start every year from unclean dryer vents. 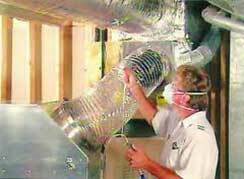 The EPA estimates that up to 40% of hot and cold air is lost because of leaks in duct systems. More than 90% of existing buildings in North America have air duct systems that contain small holes and cracks that reduce comfort levels, cause indoor air quality problems, and increase heating and cooling costs. Leaks are caused by a variety of factors, including the age of the dwelling, type of construction and ductwork, and local building codes. View articles and press releases concerning these topics at Aeroseal's website.